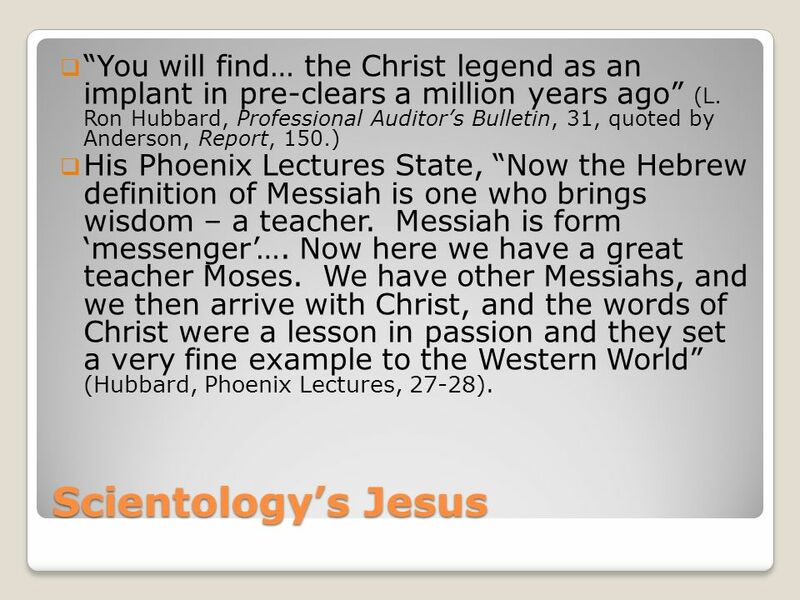 2 Scientologys Jesus You will find… the Christ legend as an implant in pre-clears a million years ago (L. Ron Hubbard, Professional Auditors Bulletin, 31, quoted by Anderson, Report, 150.) His Phoenix Lectures State, Now the Hebrew definition of Messiah is one who brings wisdom – a teacher. Messiah is form messenger…. Now here we have a great teacher Moses. We have other Messiahs, and we then arrive with Christ, and the words of Christ were a lesson in passion and they set a very fine example to the Western World (Hubbard, Phoenix Lectures, 27-28). 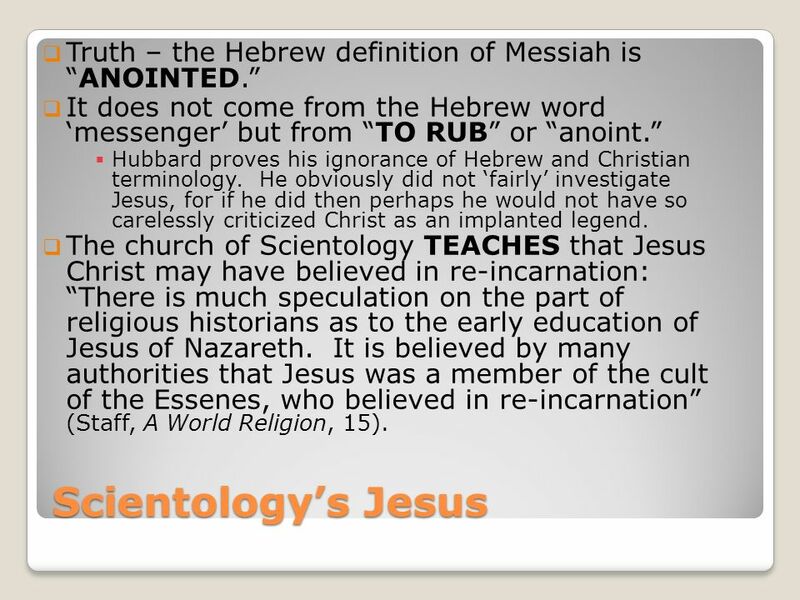 3 Scientologys Jesus Truth – the Hebrew definition of Messiah isANOINTED. It does not come from the Hebrew word messenger but from TO RUB or anoint. Hubbard proves his ignorance of Hebrew and Christian terminology. He obviously did not fairly investigate Jesus, for if he did then perhaps he would not have so carelessly criticized Christ as an implanted legend. 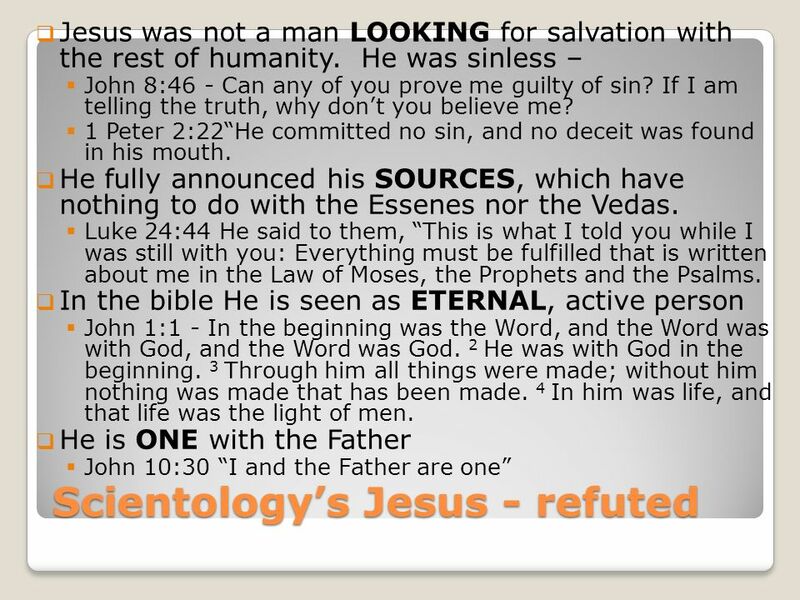 The church of Scientology TEACHES that Jesus Christ may have believed in re-incarnation: There is much speculation on the part of religious historians as to the early education of Jesus of Nazareth. It is believed by many authorities that Jesus was a member of the cult of the Essenes, who believed in re-incarnation (Staff, A World Religion, 15). 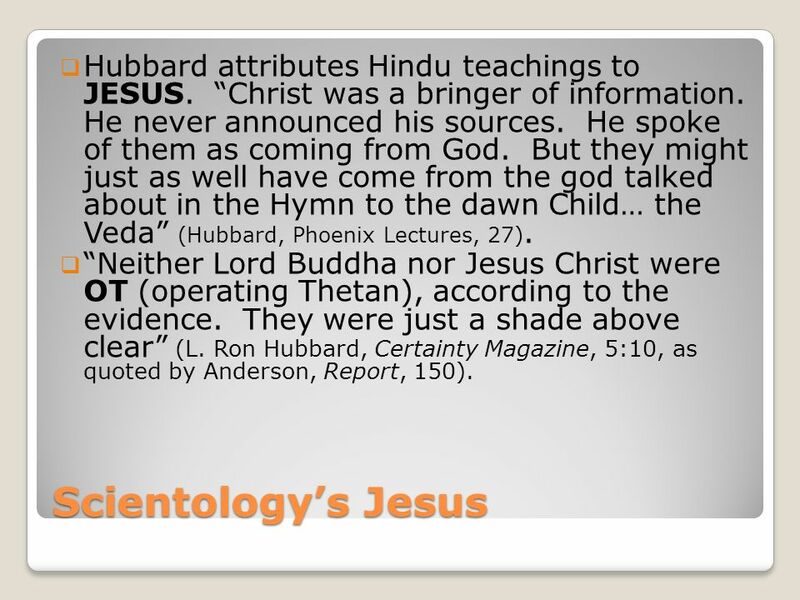 4 Scientologys Jesus Hubbard attributes Hindu teachings to JESUS. Christ was a bringer of information. He never announced his sources. He spoke of them as coming from God. But they might just as well have come from the god talked about in the Hymn to the dawn Child… the Veda (Hubbard, Phoenix Lectures, 27). 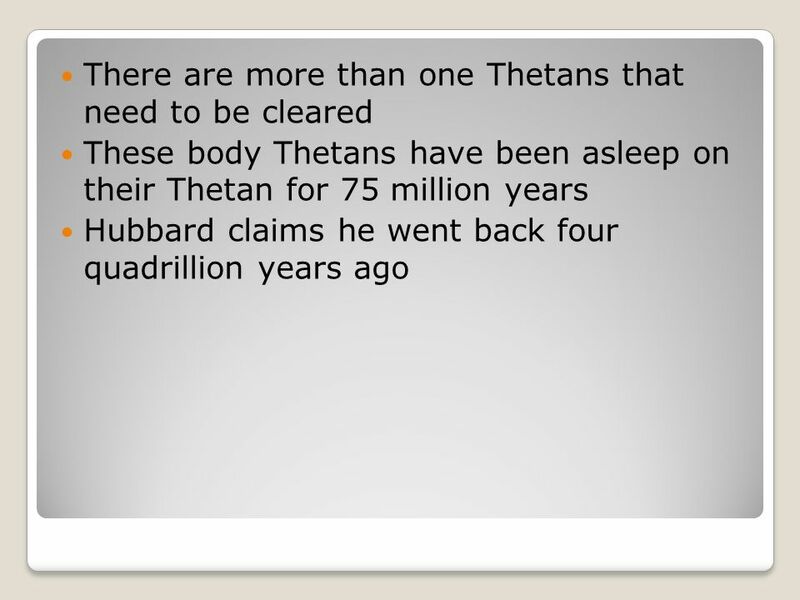 Neither Lord Buddha nor Jesus Christ were OT (operating Thetan), according to the evidence. They were just a shade above clear (L. Ron Hubbard, Certainty Magazine, 5:10, as quoted by Anderson, Report, 150). 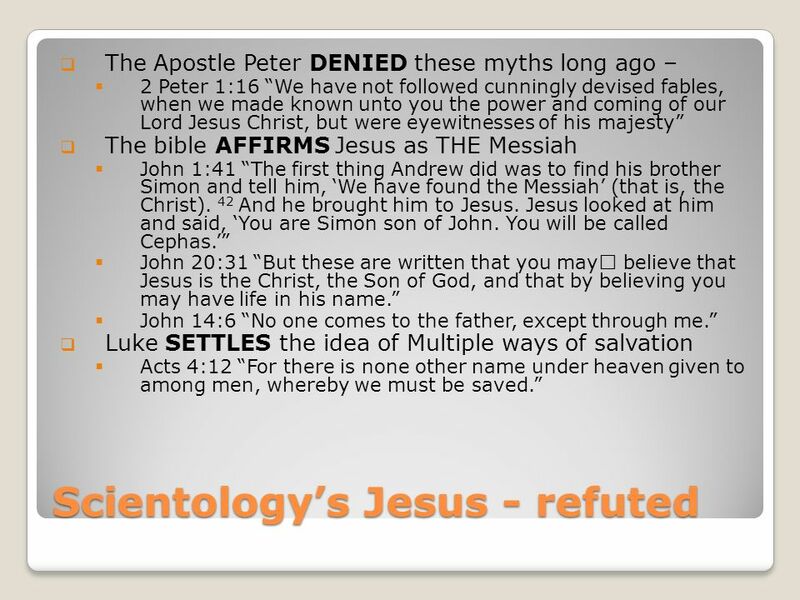 5 Scientologys Jesus - refuted The Apostle Peter DENIED these myths long ago – 2 Peter 1:16 We have not followed cunningly devised fables, when we made known unto you the power and coming of our Lord Jesus Christ, but were eyewitnesses of his majesty The bible AFFIRMS Jesus as THE Messiah John 1:41 The first thing Andrew did was to find his brother Simon and tell him, We have found the Messiah (that is, the Christ). 42 And he brought him to Jesus. Jesus looked at him and said, You are Simon son of John. You will be called Cephas. John 20:31 But these are written that you may believe that Jesus is the Christ, the Son of God, and that by believing you may have life in his name. John 14:6 No one comes to the father, except through me. 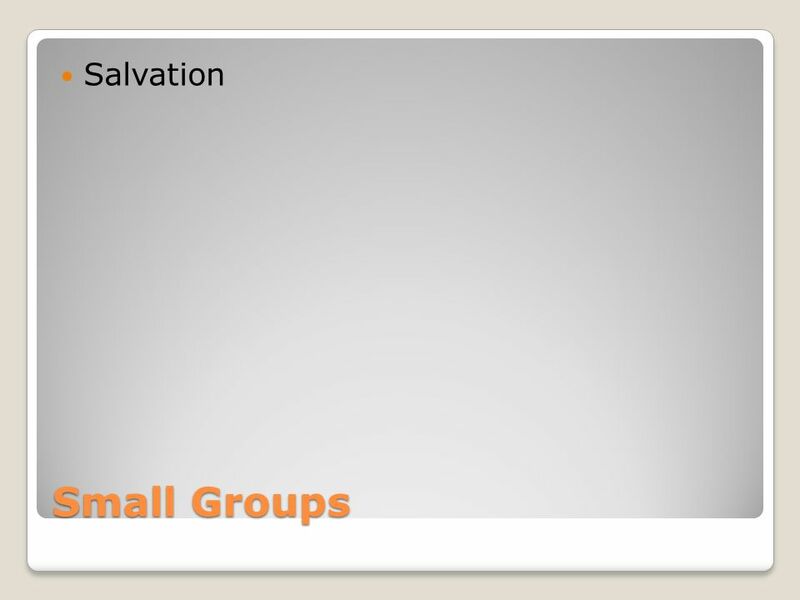 Luke SETTLES the idea of Multiple ways of salvation Acts 4:12 For there is none other name under heaven given to among men, whereby we must be saved. 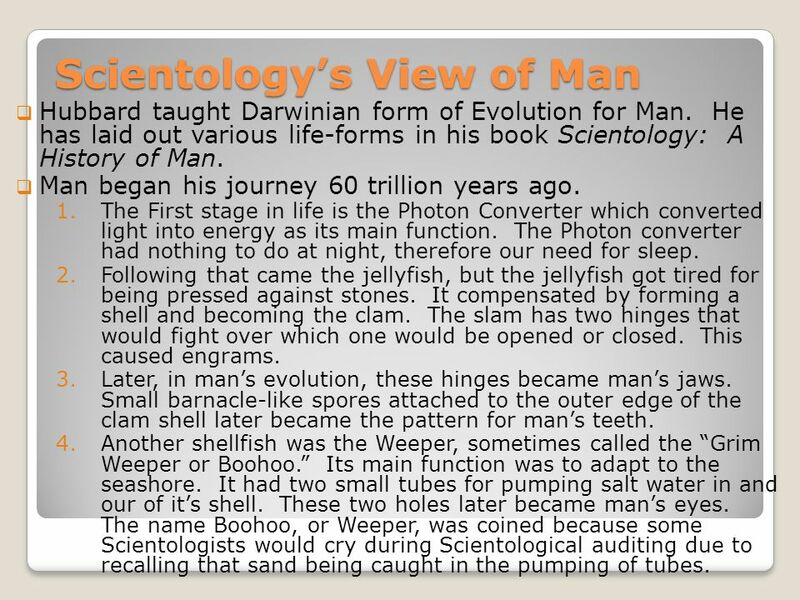 8 Scientologys View of Man Hubbard taught Darwinian form of Evolution for Man. 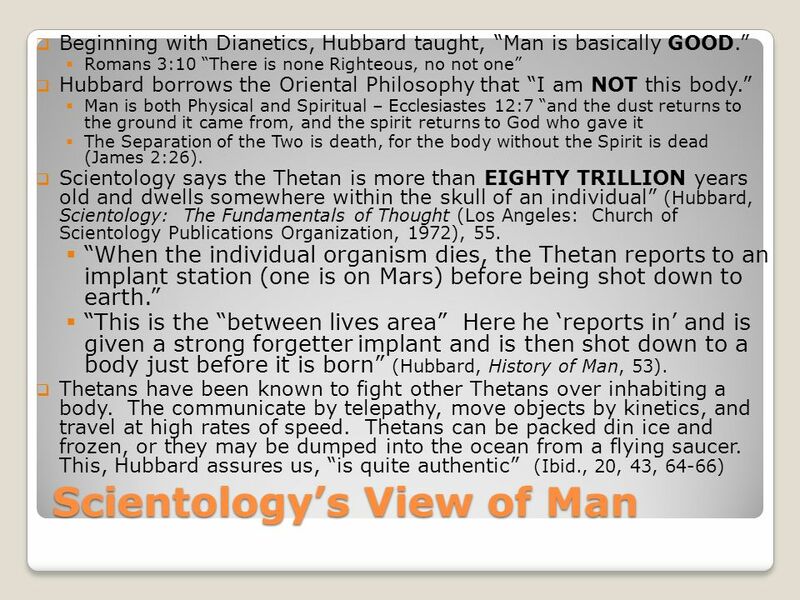 He has laid out various life-forms in his book Scientology: A History of Man. Man began his journey 60 trillion years ago. 1.The First stage in life is the Photon Converter which converted light into energy as its main function. The Photon converter had nothing to do at night, therefore our need for sleep. 2.Following that came the jellyfish, but the jellyfish got tired for being pressed against stones. It compensated by forming a shell and becoming the clam. The slam has two hinges that would fight over which one would be opened or closed. This caused engrams. 3.Later, in mans evolution, these hinges became mans jaws. Small barnacle-like spores attached to the outer edge of the clam shell later became the pattern for mans teeth. 4.Another shellfish was the Weeper, sometimes called the Grim Weeper or Boohoo. Its main function was to adapt to the seashore. It had two small tubes for pumping salt water in and our of its shell. These two holes later became mans eyes. The name Boohoo, or Weeper, was coined because some Scientologists would cry during Scientological auditing due to recalling that sand being caught in the pumping of tubes. 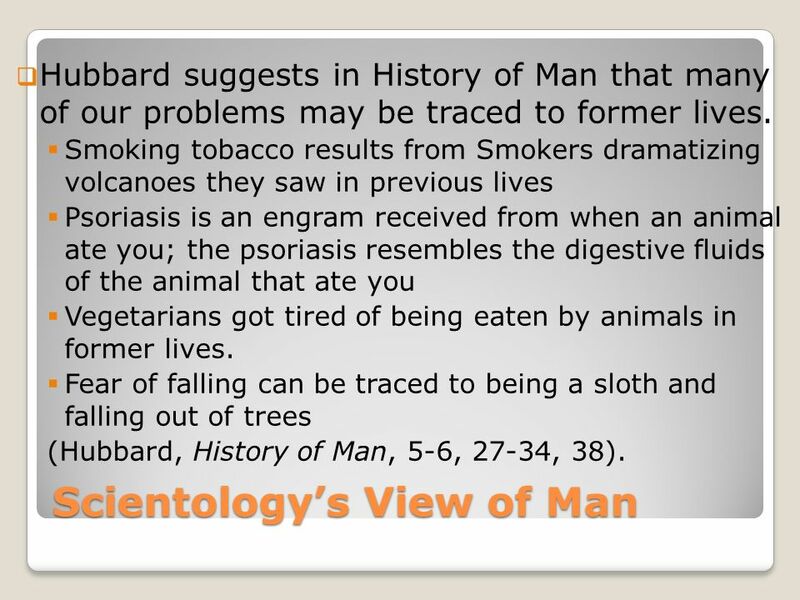 9 Scientologys View of Man Hubbard suggests in History of Man that many of our problems may be traced to former lives. Smoking tobacco results from Smokers dramatizing volcanoes they saw in previous lives Psoriasis is an engram received from when an animal ate you; the psoriasis resembles the digestive fluids of the animal that ate you Vegetarians got tired of being eaten by animals in former lives. Fear of falling can be traced to being a sloth and falling out of trees (Hubbard, History of Man, 5-6, 27-34, 38). 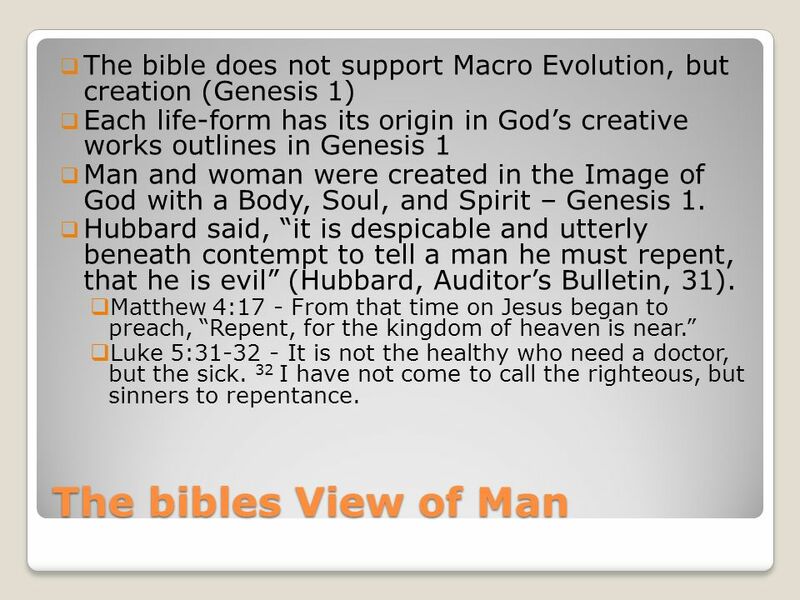 10 The bibles View of Man The bible does not support Macro Evolution, but creation (Genesis 1) Each life-form has its origin in Gods creative works outlines in Genesis 1 Man and woman were created in the Image of God with a Body, Soul, and Spirit – Genesis 1. Hubbard said, it is despicable and utterly beneath contempt to tell a man he must repent, that he is evil (Hubbard, Auditors Bulletin, 31). Matthew 4:17 - From that time on Jesus began to preach, Repent, for the kingdom of heaven is near. Luke 5:31-32 - It is not the healthy who need a doctor, but the sick. 32 I have not come to call the righteous, but sinners to repentance. 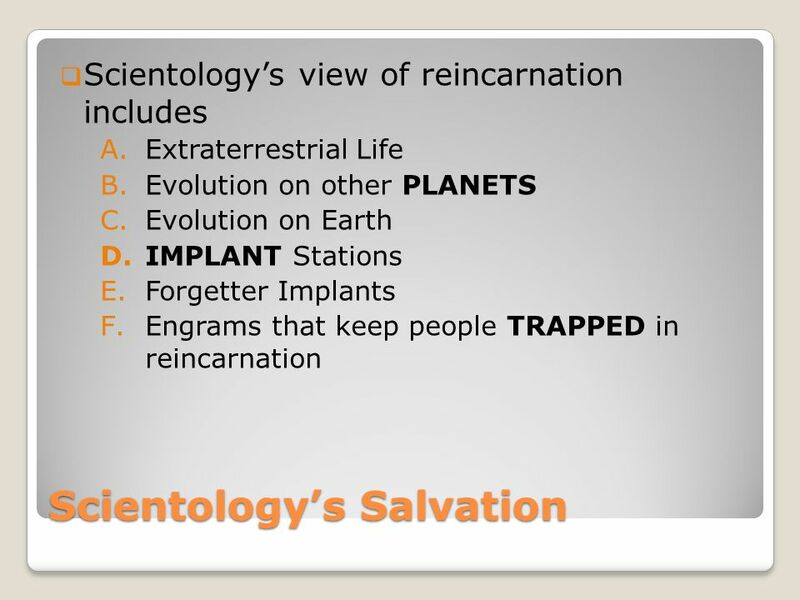 11 Scientology's View of Salvation Scientologists prefer to use the termREBIRTH instead of reincarnation. 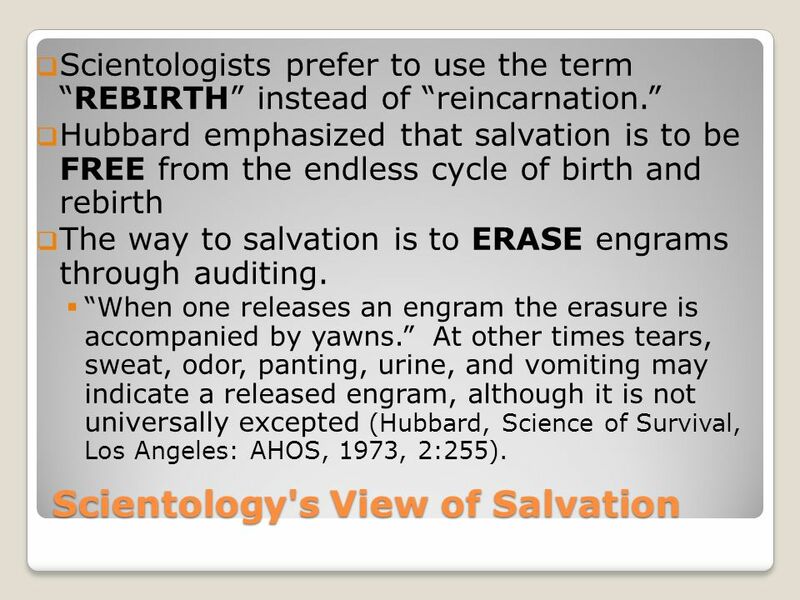 Hubbard emphasized that salvation is to be FREE from the endless cycle of birth and rebirth The way to salvation is to ERASE engrams through auditing. When one releases an engram the erasure is accompanied by yawns. At other times tears, sweat, odor, panting, urine, and vomiting may indicate a released engram, although it is not universally excepted (Hubbard, Science of Survival, Los Angeles: AHOS, 1973, 2:255). 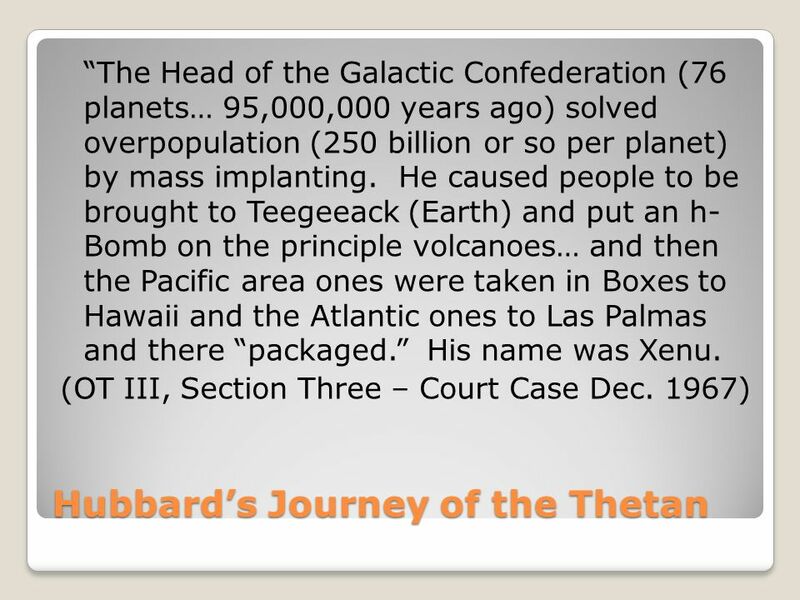 14 Hubbards Journey of the Thetan continued… [The result of Hubbards investigation into this formerly undiscovered data was that] ones body is a mass individual Thetans stuck to oneself or to the body… Thetans believed they were one. 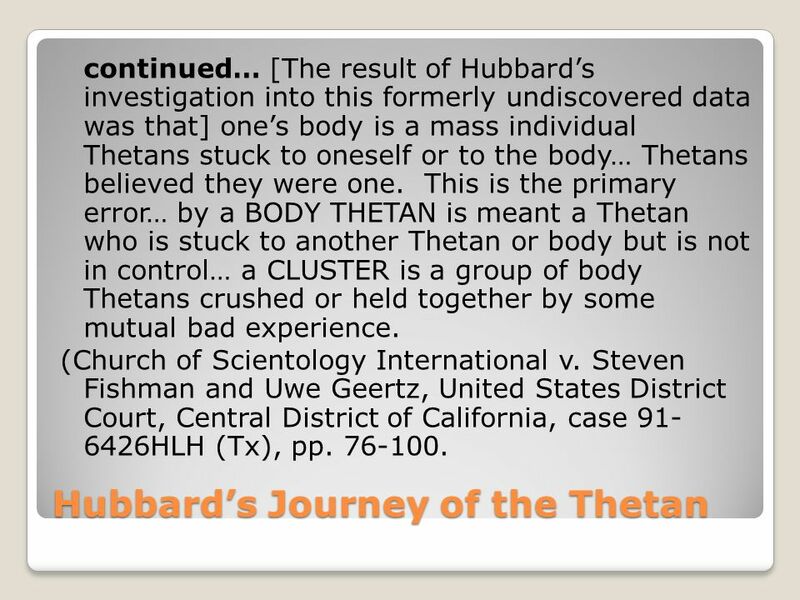 This is the primary error… by a BODY THETAN is meant a Thetan who is stuck to another Thetan or body but is not in control… a CLUSTER is a group of body Thetans crushed or held together by some mutual bad experience. (Church of Scientology International v. Steven Fishman and Uwe Geertz, United States District Court, Central District of California, case 91- 6426HLH (Tx), pp. 76-100. 16 Reincarnation – the bible A. 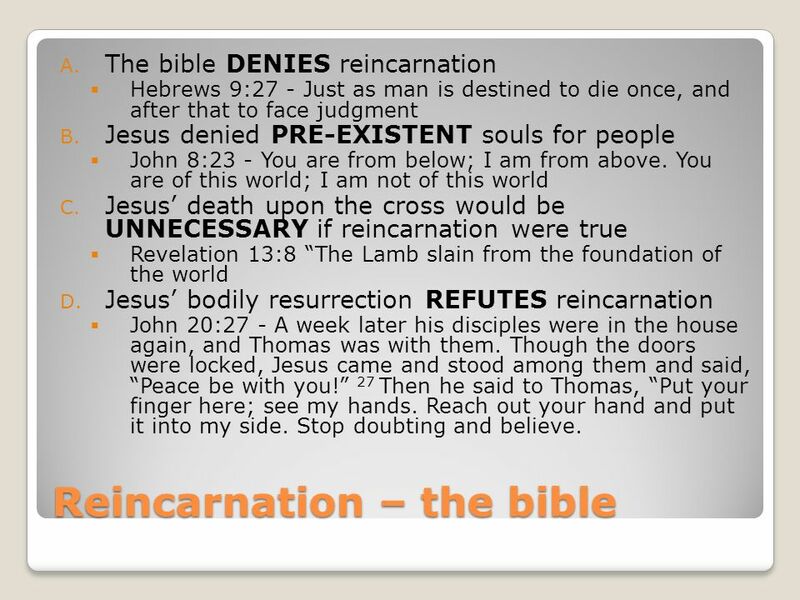 The bible DENIES reincarnation Hebrews 9:27 - Just as man is destined to die once, and after that to face judgment B. Jesus denied PRE-EXISTENT souls for people John 8:23 - You are from below; I am from above. You are of this world; I am not of this world C. Jesus death upon the cross would be UNNECESSARY if reincarnation were true Revelation 13:8 The Lamb slain from the foundation of the world D. Jesus bodily resurrection REFUTES reincarnation John 20:27 - A week later his disciples were in the house again, and Thomas was with them. Though the doors were locked, Jesus came and stood among them and said, Peace be with you! 27 Then he said to Thomas, Put your finger here; see my hands. Reach out your hand and put it into my side. Stop doubting and believe. 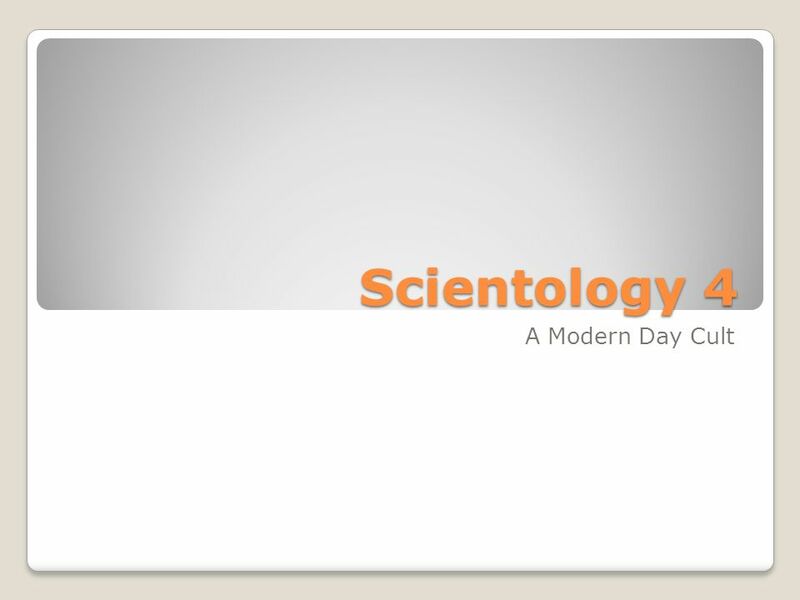 Download ppt "Scientology 4 A Modern Day Cult. Scientologys Jesus You will find… the Christ legend as an implant in pre-clears a million years ago (L. Ron Hubbard,"
John 1:43-51 The next day Jesus decided to leave for Galilee. Finding Philip, he said to him, Follow me. Philip, like Andrew and Peter, was from the town. “Doubt” in the New Testament 1.Aporeo – to be without a way, perplexed (Mark 6:20; John 13:22) *Paul – 2 Corinthians 4:8 2. 2.Diaporeo – thoroughly perplexed.